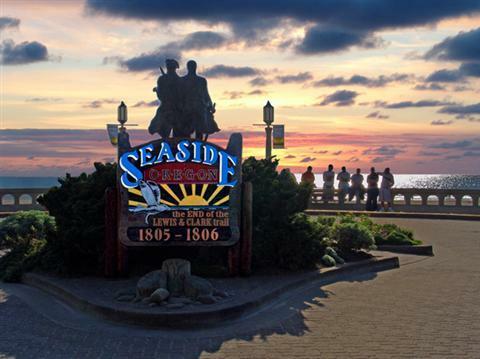 The Turnaround at Seaside, Oregon, is designed as the official end of the Lewis and Clark Trail. 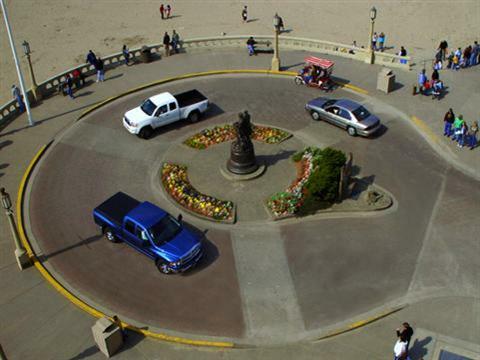 In 1990, a bronze statue of Meriwether Lewis, William Clark and Seaman, was installed facing the ocean at the west end of Broadway at the Turnaround on the center of the Prom. The monument commemorates the 18 month, 4,000 journey from Saint Louis to the Oregon Coast ( by sculptor Stanley Wanlass).